For all you gaming freaks out there, there is nothing more important than a good gaming headset, am I right? But most people believe that the more expensive a gaming headset is, the better it is in terms of quality. For this reason, there are many who are hesitant about investing in a good set of gaming headphones, because they’re afraid that it will just end up costing them too much. That is actually completely a myth. You can get perfectly amazing gaming headsets well within $100, which provide great sound quality and comfort. So don’t think that spending more will also get you more. You can easily buy one from this list of the best gaming headset under 100 dollars. These 10 gaming headsets in this list are the best gaming headset under 100 dollars, and some of them have a very high cost performance and are loved by many experienced gamers. The Kingston HyperX Cloud II is pretty famous for its amazing and professional level sound quality. But what few people out there know is that this headset also has a great built-in mic as well. You can easily toggle Surround Sound 7.1 on and off with a touch of a button. Includes independent audio and microphone volume controls, the Built-in sound card DSP amplifies audio and voice for optimal HiFi gaming experience. As the No.1 pick of this best gaming headset under 100 list, this best gaming headset is pretty reserved and simple. The headphones aren’t that fashionable as any other wireless headphones, but they’re not that bad either. The logos on them are subtle, nothing flashy. Also, learning from past mistakes, the company has completely redesigned the USB sound card audio control box, so users don’t miss out on anything any longer. Don’t let the outer design fool you because it’s what’s on the inside that counts. The HyperX Cloud II uses the latest memory foam technology in the ear cushions, which are covered in leatherette as a default material. All this adds to the luxurious quality and comfort of the headset. They also offer a set of velour ear cushions for those who prefer a different kind of finish. Even though the HyperX Cloud II is only $99.99, still it packs a microphone even better than most expensive headsets out there. Not only is the headset perfect for video games, but the powerful stereo sound also makes it suitable for movies and music. The sad part is that this headset doesn’t have any noise canceling mechanism. Having said that, the close headphone design works to cancel a lot of external noise automatically. 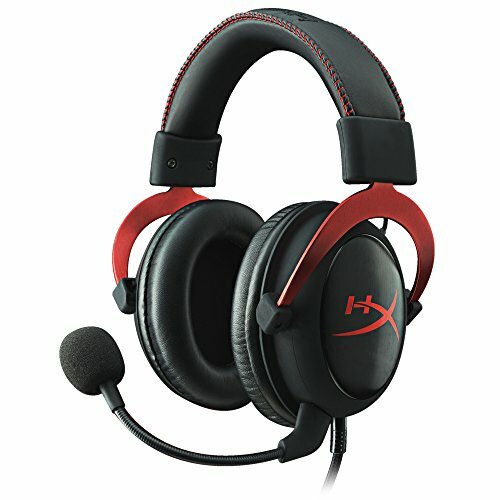 The HyperX Cloud II performed very well, especially with first person shooters games, and when i played Call of Duty, it allowed me to hear which direction my enemies were in, and the audio sent by the microphone was quite clear thanks to the Inline Sound Card Noise Cancellation Technologies used on the Cloud II. It will be impossible for you to find a gaming headset that offers such an amazing sound quality for such a reasonable price. 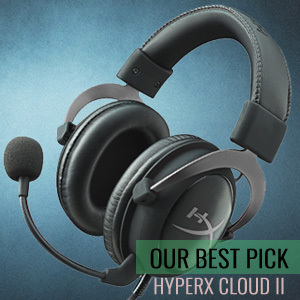 The HyperX Cloud II is definitely a headset in the list of the best gaming headset under 100 Bucks! Logitech leads the way in designing up-to-date modern headsets with another hit headset, the G231 Prodigy, which might not have as many features, but has so much more to offer. But the best part is that this headset will fit anyone’s budget! To reduce unnecessary noises from the environment and to ensure that only clear and crisp relevant communications are delivered, there is a boom mic which also has its own micro-pop filter as well. For times when you don’t feel like talking, the G231 Prodigy allows you to simply fold away your mic to keep it out of the way. The headset is specially designed to be lightweight, visually, it looks slim and sleek, and it feels as if you’re not even wearing a headset at all. The earpieces rotate too, so they take up much less space. The ear cushions are covered in leatherette mesh fabric, so heat isn’t trapped in during long gaming sessions. But the best part is that the cushions can be taken off and washed too, to keep them clean. The features aren’t that great but the overall quality of this headset, especially it’s lightweight and durable design, makes it an absolute delight to own. The Arctis 5(2019 Edition) provides the most comfortable experience there is. But that isn’t all because this headset comes with impressive sound quality as well! 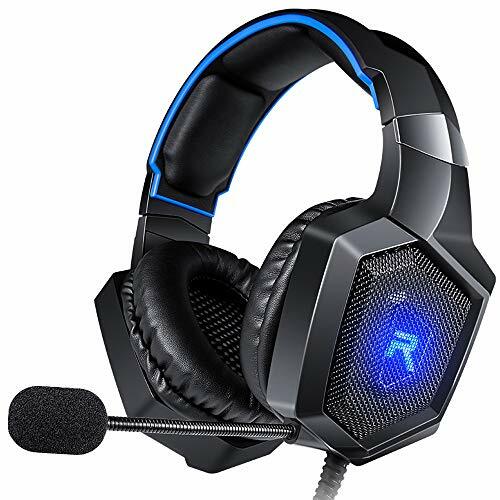 This best gaming headset under 100 dollars comes with 40mm neodymium drivers that output you some perfect distortion free audio. 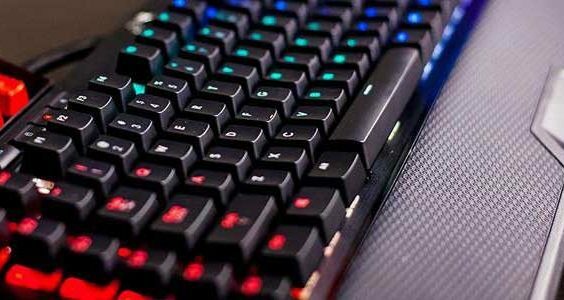 For those gamers on PC must to explore the SteelSeries Engine Sofeware as it offers really excellent audio customization options to get your games more fun. PC gamers can also customize the RGB illumination of the headset using the SteelSeries Engine software. The goal was to keep the design as lightweight as possible. This is why the Artcis 5 is kept as simple and minimalistic as possible, stripping away any unnecessary parts, resulting in a sleek finished design. There’s nothing wrong with the design, and I doubt you’ll be able to find anything bad in it either. After all, this headset didn’t win the Red Dot Product Design Award for nothing. The stereo audio from the SteelSeries Arctis 5 is available on many more platforms as before, including Mac, PS4, Xbox One, VR, Switch, and mobile devices. The Arctis 5’s level of comfort is unmatched. To keep the headset comfortable to wear for longer periods of time, the Artcis 5 ear cushions use performance fabric AirWeave, which keep your ears cool and dry by letting them breathe.Along with this, another major plus point adding to the overall comfort of the headset is the suspension headband used, which is the ski goggle suspension headband. This headband is awesome since it increases the comfort twofold by resting across your entire head in a way that the weight is comfortably and evenly distributed and all pressure points are eliminated. Marketed as the best mic in gaming, this headset’s mic is deemed to be as clear as a broadcast-quality mic. The ClearCast mic is meant to make your voice sound remarkably natural. And if you don’t believe that this microphone is just as perfect as it sounds, then the Arctis 5 has also won many awards to prove this amazing mic quality. Games for Testing: Call of Duty: Infinite Warfare (on PS4), Halo 5 (on Xbox One) and CS:GO (on PC). The Arctis 5 performed fairly well giving me great exact directional audio and great bass, and when i played CS:GO on the PC platform, gave me a big surprise because the SteelSeries Engine software giving me a vast array of audio options, then i could toggle the DTS 7.1 surround increasing my directional awareness. With this Arctis 5, i am able to almost pinpoint enemy movement with the sound of footsteps alone. SteelSeries is always one of my favorites, and the Arctis 5 does not fail to disappoint. For anyone who wants simplicity, an amazing design and the most comfort under $100 bucks, this headset is the one for them. The build quality isn’t the best, but there are few gaming headsets in the sub $40 ranges that have great build quality anyway, so it’s fair to say that the Recon 50X is about on par with the competition in this area. From a removable mic to greater compatibility, this headset has it all. Designed to be convenient and easy to use, this Turtle Beach Ear Force Recon 50X is lightweight and made of plastic. However, the use of plastic isn’t that much of a selling point, since it ends up giving the headset a sort of cheap look and feel to it. Of course, this lower design quality makes sense since the headset also costs so less. The design is just like any other Turtle Beach headset with oval ear cup shape and mounting system, as well as a semi-open back design. The ear cushions are wrapped in a leatherette material. The best part is that they also fold flat, thereby taking much less space in your bag or on your table. The Turtle Beach Ear Force Recon 50X provides a decent amount of comfort considering the lower price. The ear cups come with a good amount of padding, but this also makes them a bit too heavy to wear for long gaming sessions. Even though the headset is pitched as being comfortable enough to wear for hours or even days, this is not the case, and can only be worn for shorter spells. Customer reviews also show that the headset is known to be a little uncomfortable to wear. The rubber on top of the headband also proves uncomfortable when you try adjusting the headset while wearing it because it ruffles up and also pulls at your hair. The microphone is omnidirectional and is highly sensitive, picking up your loud and clear. However, there have been numerous complaints that the mic just stops working, rendering it useless since a mic that doesn’t work could potentially cost you the game. It’s expected that Turtle Beach will respond with improvements and solve this issue, but so far no such steps have been taken. This headset isn’t that great, but if you’re willing to settle for less at such a fantastic price, this best gaming headset under 50 bulks is a definite buy. The Corsair Void offers the best possible options and controls, along with impressive sound quality, all at a very reasonable price. It is designed with 50mm neodymium drivers that enhance the creation of scintillating high sound and staggering base for a great gaming experience. Additionally, the headset allows a towering dynamic range of audio.The noise-canceling microphone attached to the headset makes it possible to achieve a clearcommunication. The most redeeming factor of this headset is its design, which is rather stylish as compared to other gaming alternatives. The upper half is made of black plastic, but red trim and accent pieces add a bit of color. The design of this magnificent gaming headset is different from any other headset. It features a rigid structure in which all the drivers are apart allowing for little head compression. With the VOID Surround, you will not have to worry about the comfort of your ears since it does not have spring-loaded mechanisms for clamping the ears. Additionally, it has a slightly stiff pudding that compliments the low clamping force making the headset quite comfortable even for wearing over long hours. The memory foam technology used in the ear cushions keeps them airy, breathable and dry, adding to the overall comfort level. The adjustable headband has a nice ratchet feel to it, and keeps its size setting quite nicely. Just in case the headband does get adjusted during shuffling, it features a numbered set of lines that can help you remember your preferred settings so that you can set the headband right back to your most suitable size. If you want a nice mid-level headset, then definitely go for the Void PRO RGB Wireless, the versatility in terms of compatibility, comfort and overall performance will surely be the deciding factor in your choice of this headset. 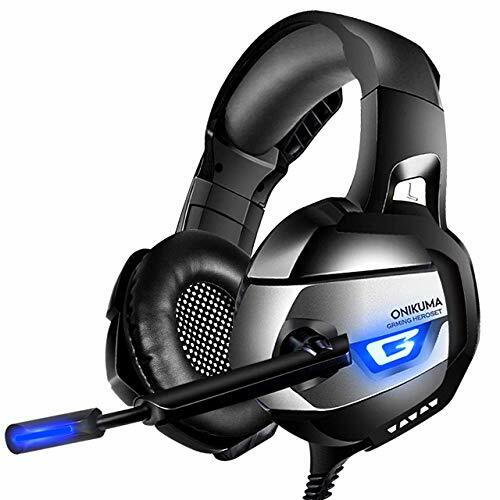 A generic headset which will meet all your gaming needs, the Version Tech G2000 provides quality in just a few bucks, and actually packs a few features that you wouldn’t expect at such a low price. A “humanized” design as it is called, it has the potential of being aesthetically pleasing since it is simpleand smart, but all of this is ruined by the plastic body, which only gives the headset a cheap look. The design only has a few good things, one of which would be that the ear cushions are covered in leatherette which adds a bit of class in another not so attractively designed headset. The other aesthetically pleasing design factor is the use of glaring LED lights on the headset when it’s active. The headset is made of plastic, which makes it of quite bad and flimsy quality and overall gives a cheap feel to it. All of this makes it an uncomfortable piece. To add a little comfort back, the headpiece padding is comfortable enough, but overall, it’s not enough. So, on the comfort scale, this headset is ranked somewhere closest to the bottom, since it simply just does not deliver. Thi best gaming headset under 100 dollars has a pretty flimsy design overall, but the sound quality may not meet your expectations. If there are better alternatives at that price range, i will choose one from them. The newest addition to Hyper Cloud Stringer’s headset line is the Stinger, which is pitched as a cheaper alternative that mixes amazing features and an attractive design, along with an extreme care for comfort. The design of this headset is so practical and world-renowned for its comfort that it has won the 2017 prestigious International Forum Design Award for its detailed design. Lightweight at just 275 grams, it is comfortable enough to be worn for long gaming sessions. 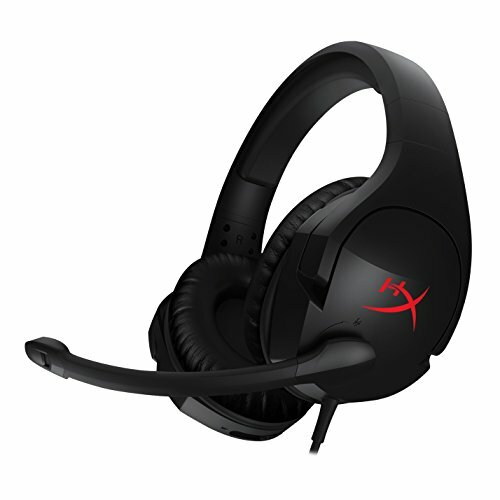 Along with this, the HyperX famous memory foam technology makes this one of the most comfortable headsets out there. The microphone is functional, but that’s about all that can be said about it. It picks up voices just fine, but they all have a nasal touch to it. And the mic is also known to continuously keep picking up background noise, making it a low-quality microphone at times. At this price and the amazing quality and comfort, you will never find a better gaming headset under 100 dollars than the HyperX Cloud Stinger. One of the easiest-to-use headsets there are, the Kraken Pro V2 is an all-round superstar, with great sound performance not only in games but also in music. You will find detailed features, design and comfort of the Kraken Pro V2 from our unbiased review below. Many past design failures have been fixed in this new headset, such as a lighter body and less heavy pressure on the ears. The Kraken Pro V2 is bigger than all previous versions. However, the larger ear cushions also make it uncomfortable at times, not suitable for longer periods of time. Understanding the personalized preferences and fits of its users, Razer has also introduced interchangeable ear cushions, between circular and oval designs (the oval ones have to be bought separately). There is also lesser strain owing to the special inmold channels in these cushions, however, they’re a bit tight and the lack of a proper swivel hinge means they don’t always fit well around your ears and can be a bit fatiguing over time. The microphone outshines most other headsets out there, providing one of the clearest vocals. The only downside is that the quality could vary from device to device. The headset becomes uncomfortable after a while, not to be bought for longer gaming sessions. But if that isn’t a problem for you, then the sound quality and design of this best gaming headset under 100 dollars wise for shorter gaming sessions. Experience your game in its finest detail with this latest headset by PlayStation, along with a hidden noise-cancellation microphone and the ultimate comfort all in one affordable headset. The design isn’t as attractive as you’d expect from a headset so costly, but the bright blue color used in controlled amounts is a sight for sore eyes. The build looks cheap though and not sturdy enough to withstand long-term use, made of plastic and foldable earcups that are bound to get weak. The earcups are comfortable enough for long-term gaming sessions and the padding on them is also breathable. Overall, the headset is lightweight, so it doesn’t apply too much pressure on your head either, adding to the comfort level. The microphone is simply not up to par with the expected quality standards at such a high price. Since the mic is hidden and also because it isn’t of the boom type, both these aspects make its performance very poor because all of the background noise keeps seeping through, ruining the entire experience for you. Given the fact that this is one of the pricier headsets on this list, the PlayStation Gold Wireless does not deliver accordingly and isn’t something you should invest in. But if you are a loyal SONY user, this headset is also a good choice for you. I’m not picking any favorites, but if I were, this would be it. The Arctis 3 has everything a perfect headset should have and so much more. It offers the most luxurious gaming experience ever, simply put. The design of this headset oozes class. The headset has floating headbands, which are soft, flexible, made of ski-goggle material. There are no cheap plastics used, and the finish is perfect. Lighter than most of the alternatives offered by SteelSeries, the Arctis 3 is so far the most comfortable out of all the headsets on this list. They provide equal weight distribution across your head, reducing pressure from wearing them for a long time. And the use of AirWeave ear cushions ensures that you ear remain dry and cool no matter how long you wear the headset for. There isn’t much to complain about when it comes to this headset’s microphone. The Arctis 3 works on cancelling out the tinniness that is produced in gamers voices over the mic. However, the mic keeps picking up a lot of background noise when you don’t use the specialist software. This isn’t a bad headset, there’s nothing wrong with it but there’s nothing outstanding about it either. But when you can easily get the Arctis 5(2019 Edition) for just a little more money instead, that is what we’d recommend. What is a gaming headset? For those of you who don’t know this yet, a gaming headset is kind of like any other pair of normal headphones, but with so much more. They have microphones allowing you to communicate with your team a member, which makes it obvious that the microphone is one of the most important components in the headset. And while all headphones are judged by their sound quality, a gaming headset demands a finer and clearer sound quality that provides detailed and crisp voice transmission and blocks out any outside unnecessary noise. When buying a gaming headset, there are a few important aspects that need to be considered, all of which I have listed down below. 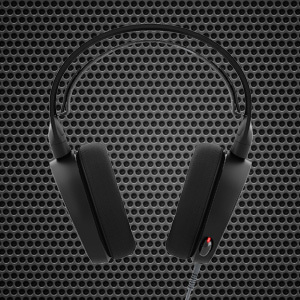 What’s the difference between gaming headsets and music headphones? The primary difference which is even obvious to the naked eye is the fact that headphones don’t have a microphone attached whereas all gaming headsets require a microphone. A better definition of a headset would be that it is an ear-worn speaker so to say, just like a music headphone, but with the addition that it allows interactive communication. Since gaming headsets require players to communicate, all such headsets come with microphones to aid such communication between all team members. Talking about the quality and requirements of the two, music headphones only emphasize on one primary thing mostly, which is quality stereo sound which is essential for listening to music and movies. But when dealing with gaming headsets, there are many more aspects to consider, such as an amazing sound quality along with a better microphone too. What headsets work with PS4? Since the PS4 has a standard 3.5mm jack, which is the type that all headphones normally use, therefore users can use any headphones with their PS4. There aren’t any specific headphones only that you can use. What headsets work with xBox One? Unlike the PS4, you can’t use all your normal headphones on your Xbox One. The Xbox One does not come with the standard 3.5mm jack. So if you want to connect any standard headphone to the Xbox One, then you can simply buy the official adapter from the Xbox store, or you can easily find cheaper alternative adapters online as well that get the job done. Or you can simply invest in Xbox official headset which comes to the official adapter itself. As I’ve tried making it clear, almost all gaming headsets have both their strong points and their weaker aspects. But more money doesn’t mean you’ll find everything you’re looking for, it all comes down to your specific requirements and your comfort level with the product. I hope this review and buying guide of the best gaming headset under 100 USD helped you in figuring out what headset will be the very best for you. 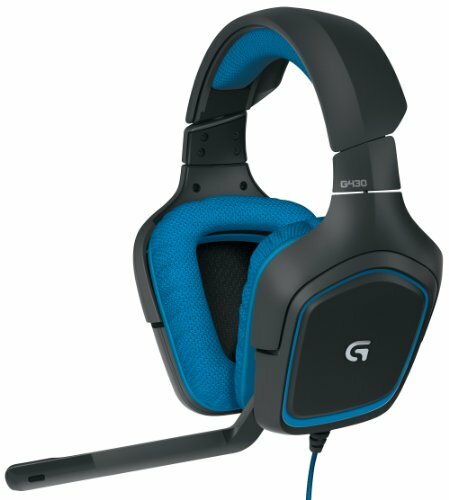 I want to buy Logitech G231 Prodigy, for my brother. Awesome reviews. I am looking for 7.1 sound, wireless, and comfortable headset. Thanks for the ideas. Thanks for sharing some excellent gaming headset under 100 bucks here. I am going choose the Corsair Void Surround Hybrid, do you have any advice for this headset? 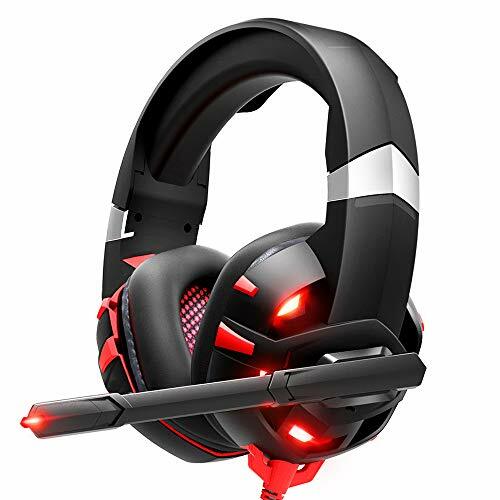 if you are a PC gamer, this headset would be a right gear for you. i like Razer Kraken Pro V2, but i finally bought SteelSeries Arctis 5 for it’s comfortable wearing. Hi Shawn, i want to buy a gaming headset between 200 – 300 dollars, do you have some advice? I will recommend ASTRO Gaming A50 Wireless Dolby or SteelSeries Siberia 800 Lag-Free Wireless. I bought the CORSAIR Void PRO and i think it’s not bad at that price. Is SteelSeries Arctis 3 the latest version of 2019?